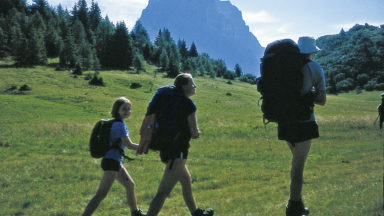 Guidebook to 25 multi day walks in the Dolomites mountains of northeast of Italy. The walks are mostly circular and 2 to 4 days long, and take in the Marmarole, Marmolada, Civet, Sella and Cortina Dolomites among others. Includes notes on accommodation, wildlife, transport, equipment, a glossary and other practical information. Mid-June to late September, when the majority of the refuges are open. Peak Italian holiday time is August, especially around 15th August. Main centres for the Dolomites include Cortina, Belluno, Selva di Cadore, Arabba, La Villa, Selva, Bressanone, Dobbiaco, Canazei. Moderate and challenging routes, including some mountain traverses involving scrambles and exposure. Spotting your first chamois, marmot or Ibex. The majestic Marmolada and Pelmo, the towering Civetta, and the Cinque Torre (now only four of them!). 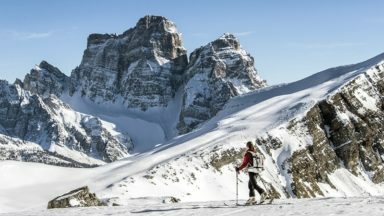 This guidebook describes 25 hut-to-hut treks in the Dolomites of northern Italy, covering 15 regions including Cortina, Sella, Sesto, Marmolada and Latemar. Ranging from 11.3km to 40.8km and from two to four days, the graded routes are suitable for walkers with a reasonable level of fitness and experience of mountain terrain, and some feature exposed sections which demand a good head for heights. They take advantage of the region's network of mountain refuges and efficient public transport system, with the majority of routes accessible by public bus. 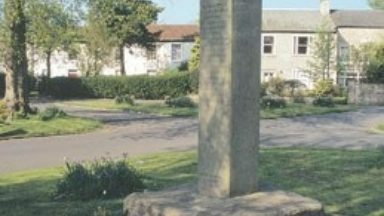 Detailed route description is presented alongside mapping and stunning colour photography and the guide also suggests alternative access and exit routes, and options for linking routes to create a longer trek. There is plenty of helpful advice to help make the most of a trip as well as background information on the region's geology, plants and wildlife and local cuisine. The Dolomites – a UNESCO World Heritage Site – are characterised by striking volcanic and sedimentary rock formations. 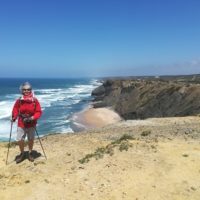 Walking is an ideal way to discover this breathtaking landscape of angular peaks, towering pinnacles and jagged ridges, and the carefully chosen routes in this guide will exhilarate, challenge and inspire. page 218 :Private car traffic is finally being limited through one of the key Dolomites road passes (Passo Sella) http://dolomitesvives.com/en/. More buses have been put on to allow visitors to reach the pass. p55 Walk 2: Access: Pozzale no longer has a summer bus service but can be reached by taxi (tel 328 7536842, 0435 30725) from Pieve di Cadore. Starting out from the village square in Pozzale (1054m) follow the signposting for Rifugio Antelao due N uphill on Via Centrale. Once out of the village, where n.520 goes straight ahead, fork L for a minor sealed road climbing in bends. This becomes a 4WD track making its relaxing way up the southern flank of Monte Tranego. p118 Rifugio Averau tel 0436 4660 open June to Sept, credit cards accepted https://rifugioaverau.wixsite.com/averau. Hi, Gillian my name is Kevin and would like to say well done and thank you for writing such a great book on Walking in the Dolomites. A friend recommended the Cicerone publications and after talking with a work colleague about hiking in Italy I decided to order your book. The hikes, detailed descriptions and photographs in it have blown my mind and they all look and sound amazing and I’m only halfway through. We were on our first real hiking holiday and used Gillian Price's Dolomites guides. We'd selected walks based on her descriptions, which were so inspiring it was difficult to choose! Instead, we selected by a process of elimination, based on difficulty and length, rather than attractiveness. Most guide books are a rather dreary recipe of start here, turn left at creek, go up hill 200m, walk along spine. Gillian Price completely understands that the best walks are a story with a rhythm and narrative: a beginning, a middle, a climax, and an end, and her writing reflects this. She conveys the mood and tone of a walk, not just its facts. As a plant enthusiast, I appreciated her highlighting special vegetation or flowering alpines. Two years later, we returned to the Dolomites and did multi-day treks there, and her descriptions were once again a true reflection of every one of them. Gillian Price is a true gem amongst guide book writers! 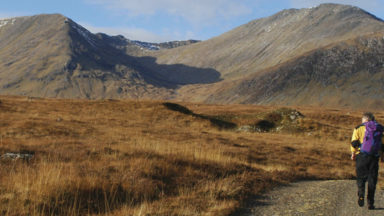 Everything you need to take on some truly fantastic walks. If you've ever flicked through a Cicerone guide before you will know exactly what they are about: practical information presented in a clear manner to provide you with everything you need to take on some truly fantastic walks. And that's exactly what we have here with Walking in the Dolomites. 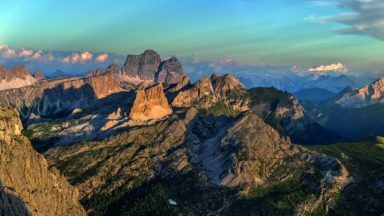 Inside, Gillian Price outlines 25 multi-day routes in Italy's Dolomites giving you the means to explore the breathtaking alpine scenery that the area has become so famous for. 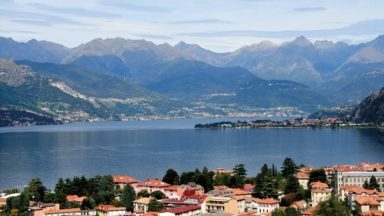 The routes mainly consist of two and three day itineraries and take in the Likes of the Brenta Dolomites and Sella Massif traverses. Expect pristine lakes, rugged ridges and those exhilarating scree slopes. I have no issue in recommending the fantastic Trekking series from Cicerone. If you are into hiking and experiencing the ‘great outdoors’, then you can place your trust in the hands of this first-class publisher. It uses the services of only the most skilled and informative writers, all of whom can boast about more knowledge of the various treks and routes and how to break them down into manageable sections than any other specialists. There is a satisfying hands on approach taken by Cicerone that provides it with a defined market advantage. The latest guides deal with the spectacular Dolomites mountain region of northern Italy and are packed with useful tips, beautiful colour photographs and the customary recommendations for short to medium hikes, all of which can be combined for the more adventurous travellers.